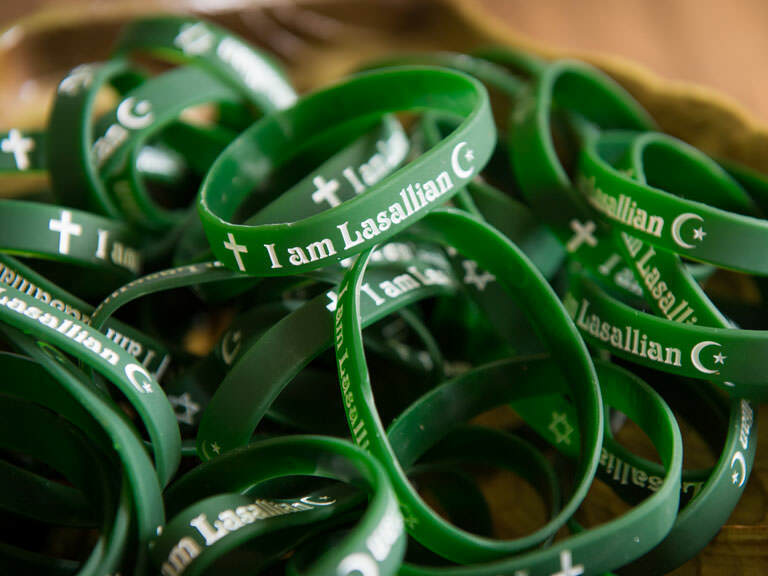 Rooted in our Lasallian faith, the Manhattan College community welcomes students of all faith backgrounds, and works to honor and uphold religious celebrations of all kinds. 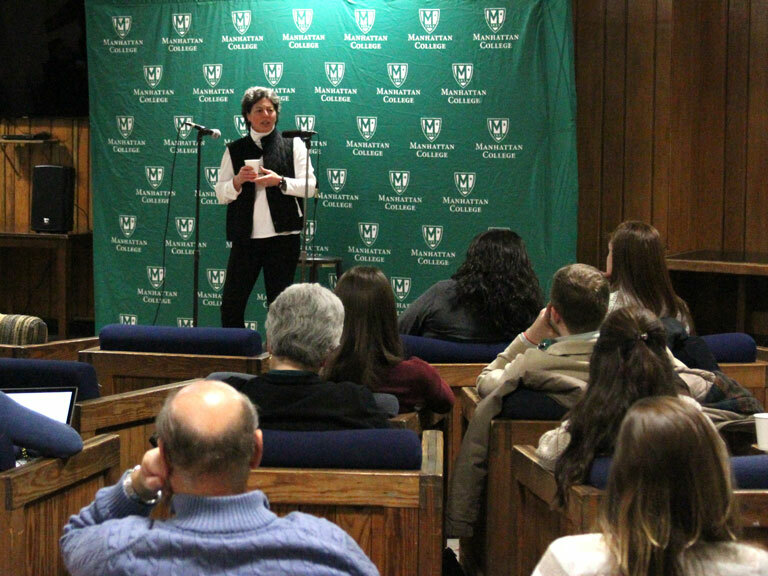 At Manhattan College, we work to make sure everyone on campus, regardless of faith or religious tradition, has an opportunity to worship. This idea of an inclusive community is rooted in the Gospel, Catholic Social Teaching and our Lasallian mission. We encourage all students, practicing or questioning, to engage heart and mind in spiritual growth by attending an event, joining a program or simply reaching out. 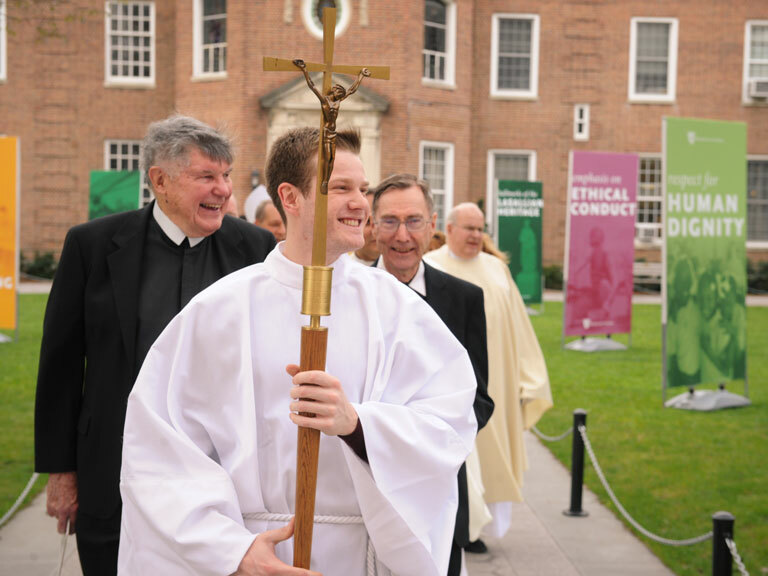 As a member of this community, you always have a friend to turn to on your faith journey. Campus Ministry facilitates the celebration of Masses, morning prayers, meditations, Advent and Lenten reflections, as well as Jummah Prayer for our Muslim students, and transportation to local Jewish synagogues. 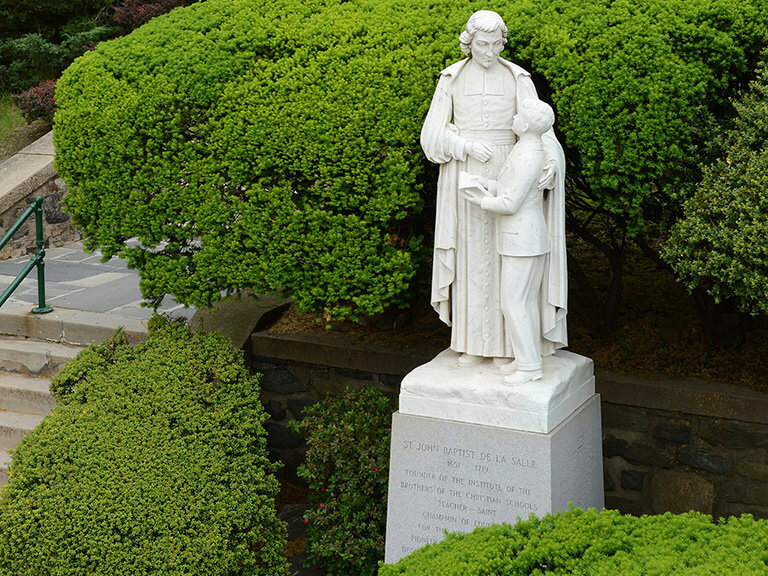 The Lasallians in Faith Together (L.I.F.T.) 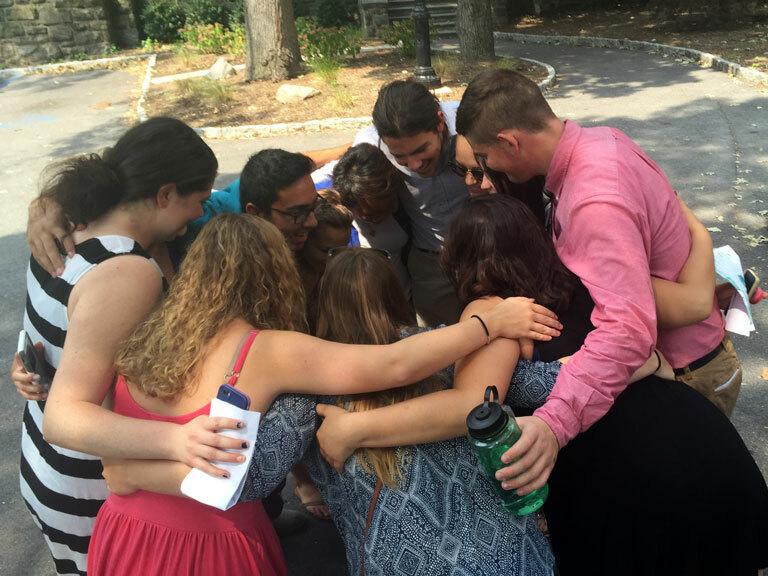 program offers a number of spiritual retreats open to all students interested in reflecting on their relationship with God, self and others. A L.I.F.T. retreat is a great opportunity to deepen your spirituality, wherever you may be on your journey, and meet peers who share both similar and different views on faith. Each month during the semester, we host Agape Latte, a coffee house-style speaker series that offers a safe, social environment for students looking to learn more about how faith applies to real life questions and situations. Grow your faith by joining one of our many spiritual or worship groups on campus. 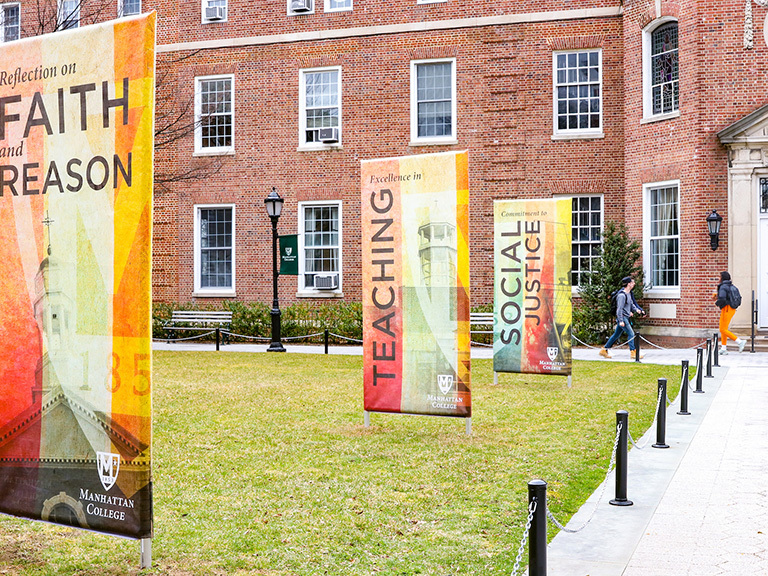 Sign up to receive information about applying to Manhattan College and how you can get involved with our campus ministry opportunities.